Join us for a discussion with Tallahassee's new Mayor, John Dailey, to learn what’s on the horizon for our community. Mayor Dailey has dedicated his professional life to building strong, vibrant communities. He has had public service in his sights his entire life. He began his professional career working for the Florida League of Cities, representing over 400 municipal governments before the Florida Legislature and Administration. In 2006, he was elected to the Leon County Commission by the citizens of District Three and was re-elected twice without opposition. He served as Chairman of the Leon County Commission twice (2010-2011, 2016-2017). 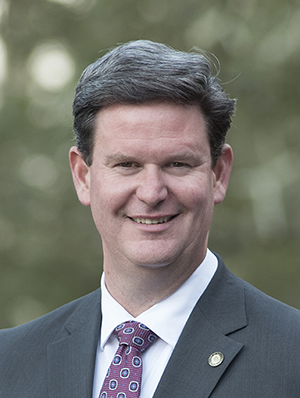 John was elected Mayor of the City of Tallahassee in 2018.